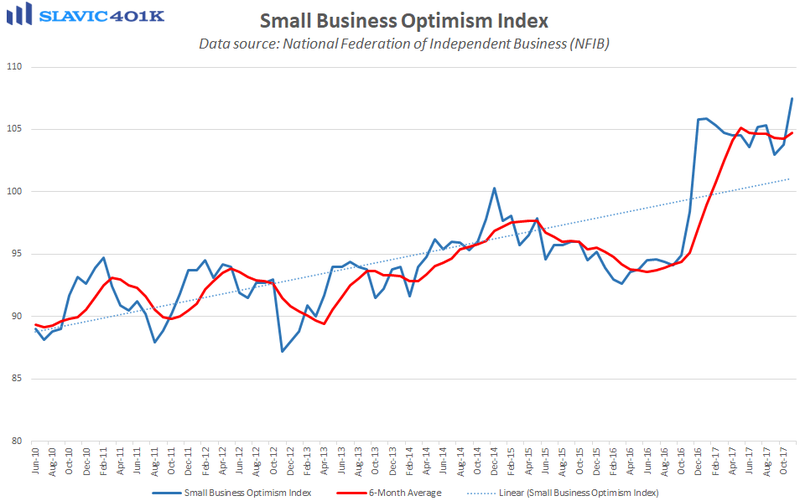 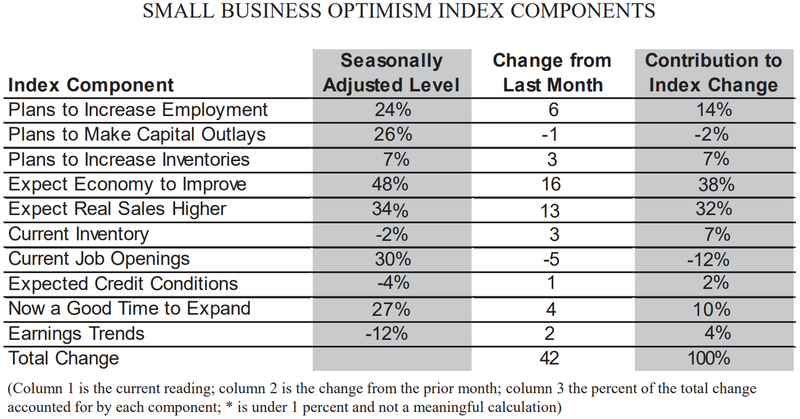 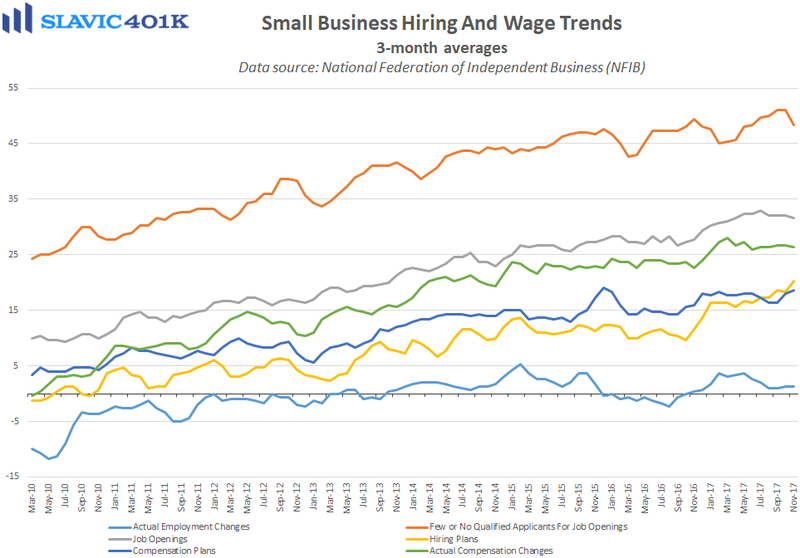 Small business owner confidence continued to improve last month, according to a new report from the National Federation of Independent Business (NFIB). 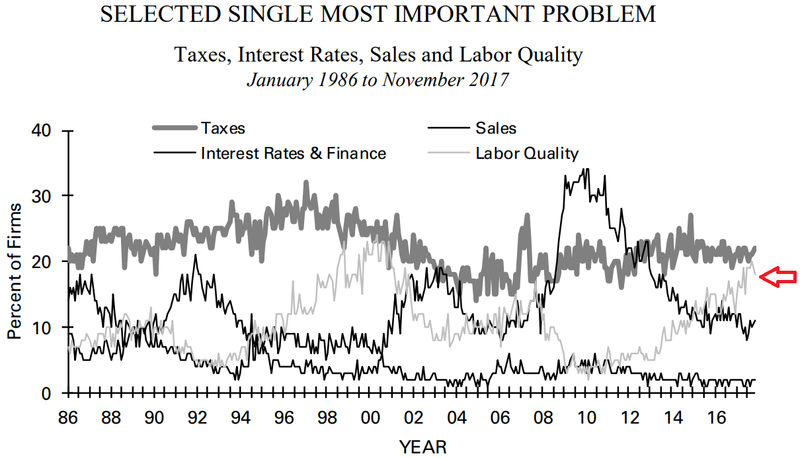 Specifically, the headline sentiment index ended November at 107.5, the largest monthly increase since December 2016 and the 2nd-highest reading in the 44-year history of this survey. 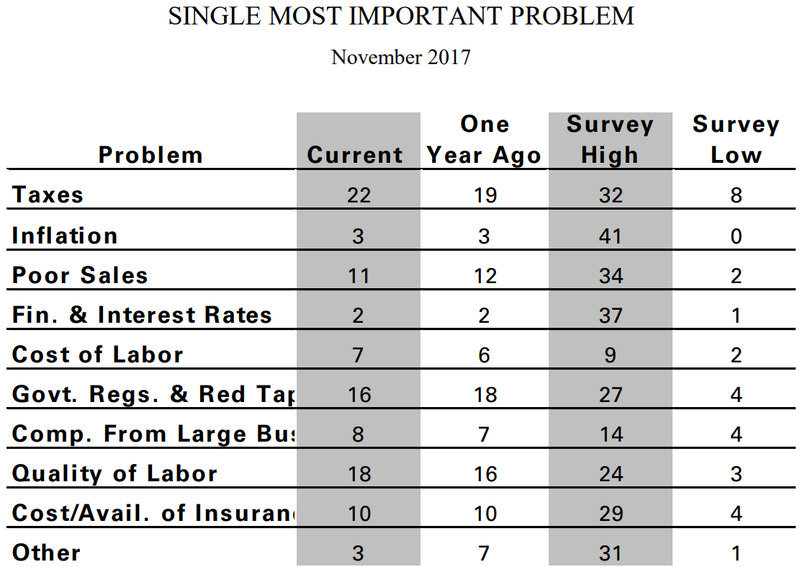 Under the hood, eight of the ten main components that make up the optimism gauge improved last month, including sharp gains in surveyed owners’ expectations for sales growth and the overall economy.